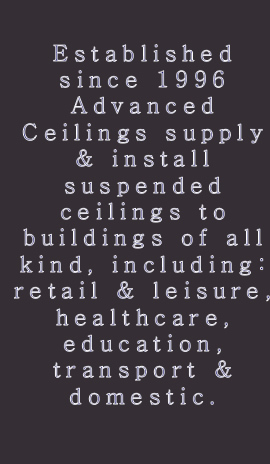 Advanced Ceilings have been established since 1996. 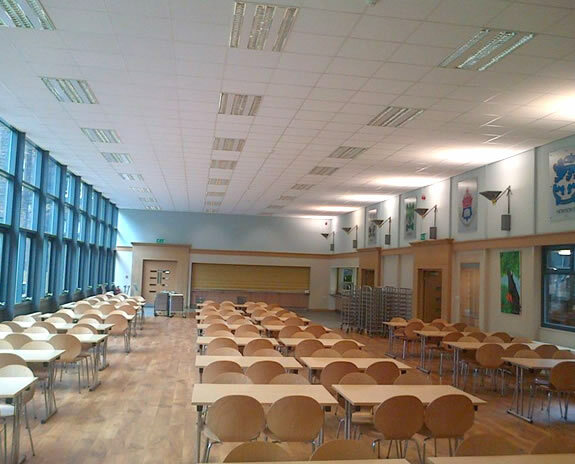 We supply and install suspended ceilings to offices of all kinds, including; retail & leisure, healthcare, education, transport, and domestic premises. We also supply directly to: Builders, Developers and Maintenance Firms. When you choose Advanced Ceilings you can rest assured that your installation will be carried out to the highest standard by our employees. Please call for your free estimate.